The love and affection that Rob shows to his dogs are beyond impressive. There is no better example of what a personal protection dog is if you were to meet his beloved Ado. Rob has always had a love of dogs and this drew him into the K9 world. 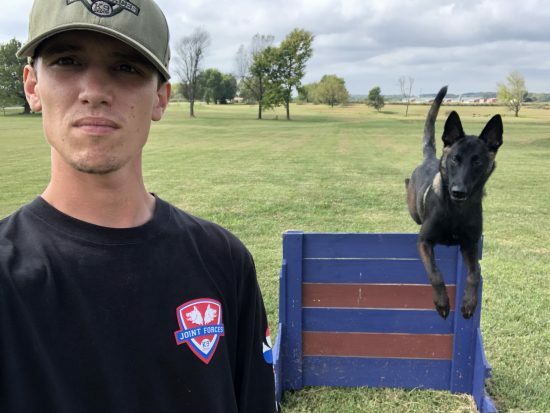 He is a good handler and takes the time to travel the country and sometimes the world to attend as many seminars as he can to continue learning different techniques and current training methods to keep his dogs on their toes. Competing in Protection Competitions has become a new found passion for Rob and his dogs. Rob served an honorable 4 years in the Army as Military Police. following that Rob served an additional 3 years in the civilian law enforcement sector. 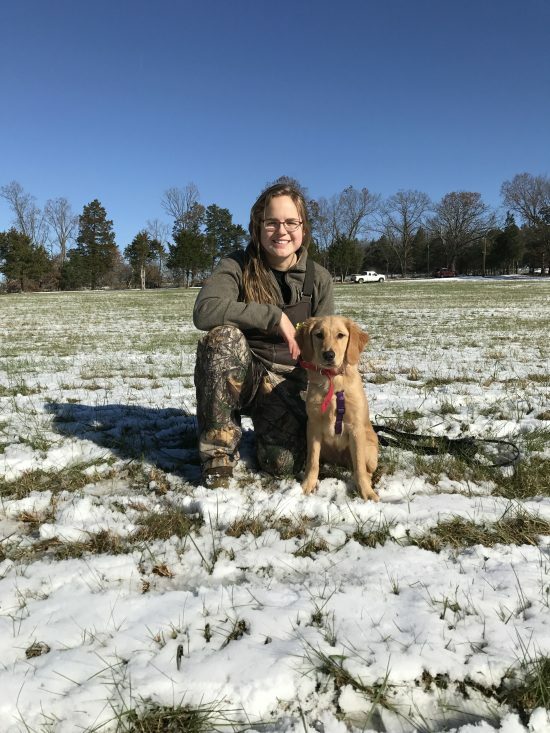 Abigail Wilmoth is a Northwest Arkansas native, growing up on a local farm she grew up with herding dogs, and that is when her passion for dogs began! 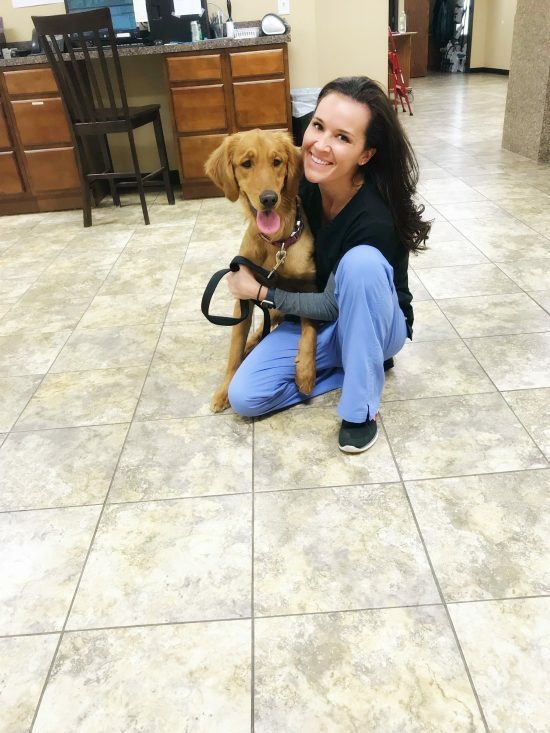 She pursued her passion by attending the Tom Rose School in St. Louis Missouri, there she spent her time training her two loved dogs, Vita and Nugget, to the highest levels of obedience, specific odor detection, and tracking. Along with learning how to use the latest training methods for a variety of dogs! Now Abigail has joined us, along with pursuing her degree in Animal Science at the University of Arkansas! Mike was born and raised in New York. When Mike discovered his passion for dogs he decided to turn his passion into a career. Mike travelled to St.Louis, Missouri to attend The Tom Rose School. While at the Tom Rose School Mike went through the Professional and Master dog training program where he learned all the in’s and out’s of today’s modern training methods and techniques. Zeke was born and raised in Arkansas. In 2007 he left the nest to join the world's most elite warriors The United States Marines. During my tenure he deployed to distant lands and traveled many a sandy mile. When he returned to the states and was released he had no direction other than up. Zeke has moved several times and held a plethora of jobs but in 2018 he found a dog and rescued him. Little did I know this dog (who would later be known as Buck) would change my life forever. Buck and Zee traveled to Abbeville, Louisianna where we learned all about dog training from a true Master, Roger Abshire of USK9. From Obedience, Tracking, Odor Detection and imprinting to bite work and Decoy training and kennel care he learned the gambit. Buck graduated to become a USK9 Certified Single Purpose Police dog specializing in bomb detection. Zeke's journey there ended in March and his new journey with Joint Forces K9 has begun. Zeke was born and raised in Arkansas. In 2007 he left the nest to join the world’s most elite warriors The United States Marines. During his tenure he deployed to distant lands and travelled many a sandy mile. When he returned to the states and was released he had no direction other than up. Zeke has moved several times and held a plethora of jobs but in 2018 he found a dog and rescued him. Little did he know this dog (who would later be known as Buck) would change his life forever. Buck and Zeke’s travelled to Abbeville, Louisianna where we learned all about dog training from a true Master, Roger Abshire of USK9. From Obedience, Tracking, Odor Detection and imprinting to bite work and Decoy training and kennel care he learned the gambit. 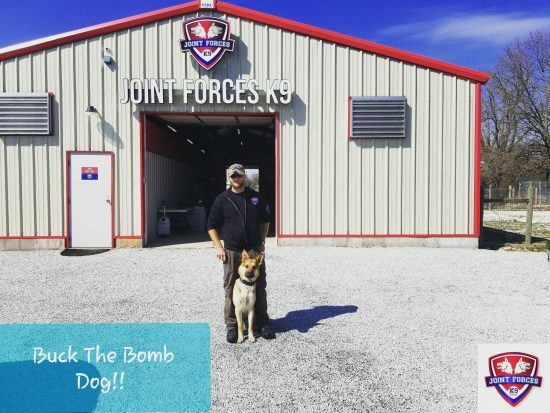 Buck graduated to become a USK9 Certified Single Purpose Police dog specializing in bomb detection. Zeke’s journey there ended in March and his new journey with Joint Forces K9 has begun as a Master Trainer. Sonya Roberson was born and raised a country girl here in beautiful Northwest Arkansas. From bonfires to baby animals she loves all that the country life has to offer. Sonya has a servants heart, destined to help those around her as well as their four-legged companions. She grew up raising animals, dogs, cats, pigs, bunnies even the occasional squirrel or chipmunk. Her love for animals drove Sonya to attend Petra Allied Health where she studied to become a Veterinary Technician. She has been doing that for 3 years now at a local clinic in addition to working with JFK9. Her faith in Jesus Christ is number one and is the driving force in all that I do. Through Him, all things are possible. Bryan is an Oklahoma native who has spent most of his life in Arkansas. His passion for dogs has led him to a 5 year career immersing himself in animal health. This intense drive has only grown his love for them and has inspired him to pursue a lifelong commitment in mastering and training dogs. Bryan has joined the Joint Forces K9 team and is excited to become proficient in all aspects of training dogs for your every need.